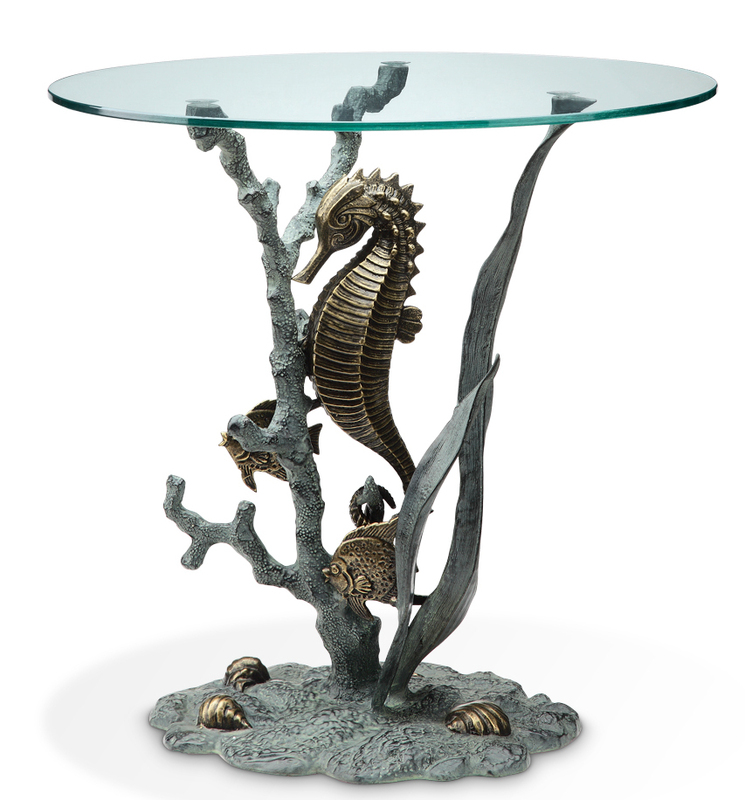 If your home has that coastal theme, this Seahorse Table will add the finishing touch. This furniture table can be used as a side table, end table, or simply as a decorative accessory to add character and style to any room. What a showcase this glass top table makes! 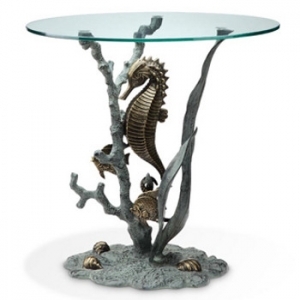 Beautiful display of floating seahorse with detail sandy floor with sea shells and sea plants. Some angel fish too!